Warning, this book will make you hungry! If there’s one thing I like as much as books it’s food and there are some sumptuous descriptions in this foodie chick lit. Custard doughnuts and bacon sandwiches can lead anywhere. Laura spends plenty of time in cafes and restaurants and she’s not shy in telling us what delight she’s eating. I did feel it was a bit overdone in places, but overall it’s an easy and entertaining story, if a little predictable. I consider the halves on the plate, each spilling out heavy vanilla-flecked custard. How on earth am I going to sit opposite such a fine looking man and eat such a messy, all consuming thing without looking like a wildebeest? The narrative is a mix of Laura’s first person and email conversations with her friends, family and colleagues. I like the fact that a few of the emails weren’t particularly relevant, it made them seem more natural. There’s a secondary theme running throughout regarding Laura’s missed chance to say goodbye to her mother. She holds a grudge against her family for hiding her mother’s illness and this taints many of her day-to-day relationships. She gets a chance to make amends even if she’d never get that chance again with her mother. The extravagance and ridiculousness of the LuxEris restaurant is somewhat exaggerated, but I’m sure there are plenty of restaurants that go for style over substance. I did feel her review was a bit out of character. I’m not convinced a magazine would run with it if they were used to such a down to earth critic. Perhaps her review also suffered from style over substance. Anyway, it was there for a purpose and it led to what I felt was a fairly realistic argument. So often an author will make them seem one sided rather than both sides coming across as a bit irrational and with some valid points at the same time. I’m not sure I liked the whole, “don’t tell your date too much” style of dating advice. If they can’t accept you for what you are, what’s the point in wasting time on dates only to call it off later? 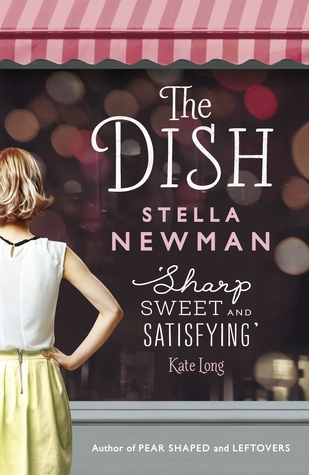 The Dish is published by Headline and is available now as an ebook with a paperback edition due on 21st May 2015. Thanks go to the publisher for providing a copy for review. We're on a pre-holiday diet too...although we're going to America so much eating will be involved so I'll probably be back on a diet when I'm back. Why is food so good? !